In the late 19th century a travelling book salesman had a revolutionary idea – to get women to sell beauty products directly to other women. And so Avon was born. Still a successful brand, it was its door-to-door capitalism – and mission to empower – that directly inspired passionate traveller, and founder of leading travel wear brand TravelSmith Outfitters, Chuck Slaughter to create Living Goods in Uganda in 2007. The entrepreneur from Connecticut stole shamelessly from Avon’s business model. Substituting lipstick and perfume samples for high-quality medicines, Living Good’s Community Health Promoters (CHPs) deliver lifesaving products to the doorsteps of the people who really need it. Just as Avon provides flexible employment, mentoring, training and support to independent sales reps, enabling the micro-entrepreneurs to support their families, Living Goods’ micro-franchise sales model incentivises women to become businesswomen. 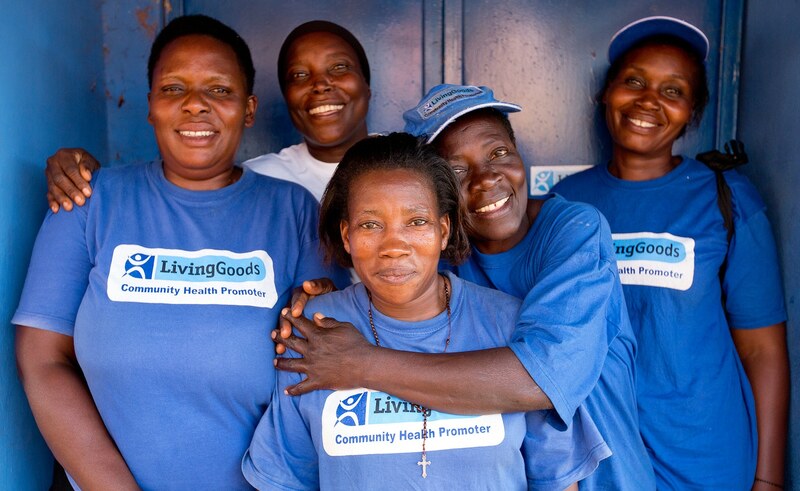 Health workers can make a living, while providing good to vast amounts of people. After working for a charity in Kenya, Slaughter realised that conventional stores in rural Africa can only reach a limited number of consumers. In the developing world, there is a severe shortage of effective community health workers – leaving communities vulnerable to health issues, rampant counterfeit drugs and barriers to quality health care and education. Almost six million children will die this year – many from preventable causes such as malaria, diarrhoea and pneumonia. 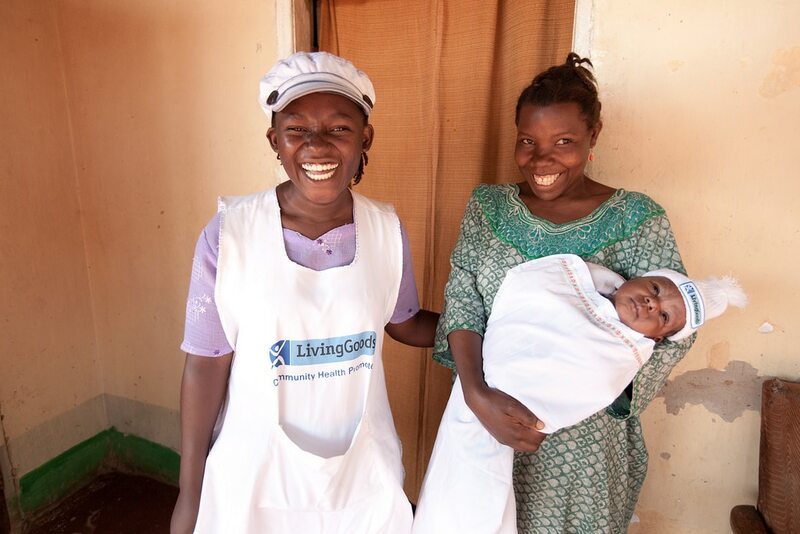 Living Goods trains teams of health workers to go door-to-door educating their neighbours about ways to improve their health, diagnosing and treating some of the most common culprits of child mortality and supporting pregnant women and newborns. It uses the Avon model to sell competitively priced items like anti-malarial drugs, solar lights, sanitary pads, soap, de-worming pills, condoms, fortified foods, malaria treatments, clean cook stoves and phone chargers. Although a few men have started, the blue t-shirted ‘village doctors’ are predominantly women who are well connected in their communities, so happy to work on commission. Like the Avon model, the system is based on trust, as customers call their Living Goods agent any time their child is sick. Equipped with a bag of goods, training on how to diagnose common diseases like malaria and a smartphone loaded with Living Good’s SmartHealth app, CHPs can get immediate insight into acute cases. 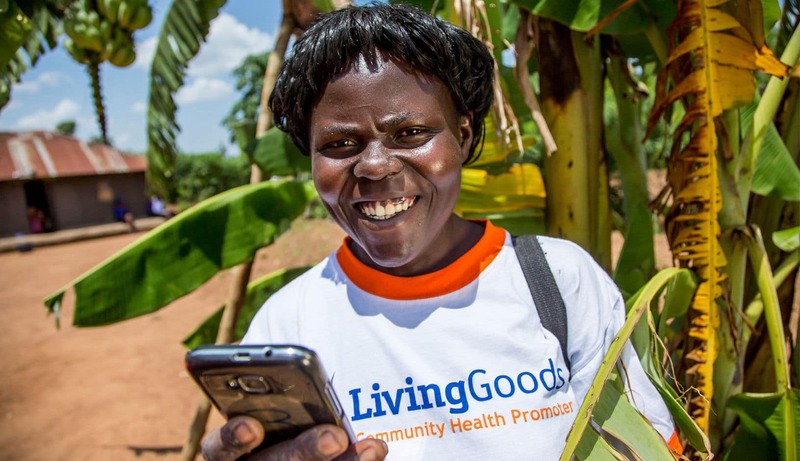 “It allows us to have real-time response,” said Alfred Wise, Living Goods Uganda Country Manager. “We have real-time data. We can identify what agents need support and get out to them quickly.” Entrepreneurs even send text messages to remind customers to take their medicine, about offers, or give pregnant women health advice. With a subsidised below-market average treatment cost of 50 cents, the ‘always-in-stock’ distribution platform features vital products that enable micro-entrepreneurs to earn a profit on product sales and health assessment incentives – while allowing for Living Goods to recover a good portion of costs. A study has shown that they are able to reduce under-five child mortality by 25 percent at a cost of less than two dollars per person per year. Operating in Uganda and Kenya, Living Goods has partners in Myanmar and Zambia and hopes its model will be adopted in many other areas. 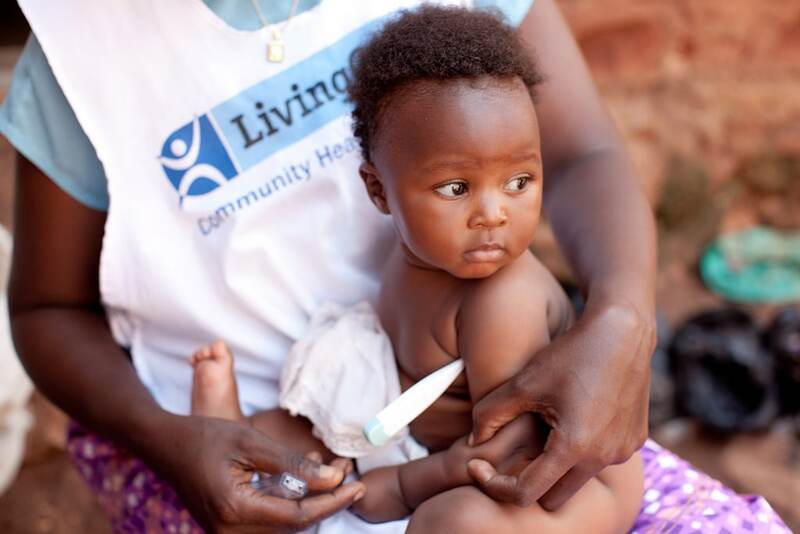 Living Goods President Shaun Church plans to continue to work with likeminded organisations, partners and government leaders to transform community health systems across the globe. His plan is to reach at least 50 million people by 2025. The hope is that this ‘Avon ladies’-like door-to-door service can have a knock on effect and that the flexible, sustainable platform can be used for almost any product or service – including health, energy, nutrition, clean water and agriculture. One of the winners of the 2016 Skoll Award for Social Entrepreneurship, Living Goods is searching for dynamic partners to replicate the Living Goods model in new markets including Nigeria, Ghana, Zambia, Kenya, Tanzania, and India. Learn more here. Tags: Africa, Awareness raising, Business, Communication, Community, Education, Employment, Entrepreneur, Hygiene, Information, Sanitation, Solar energy, Women, Youth.